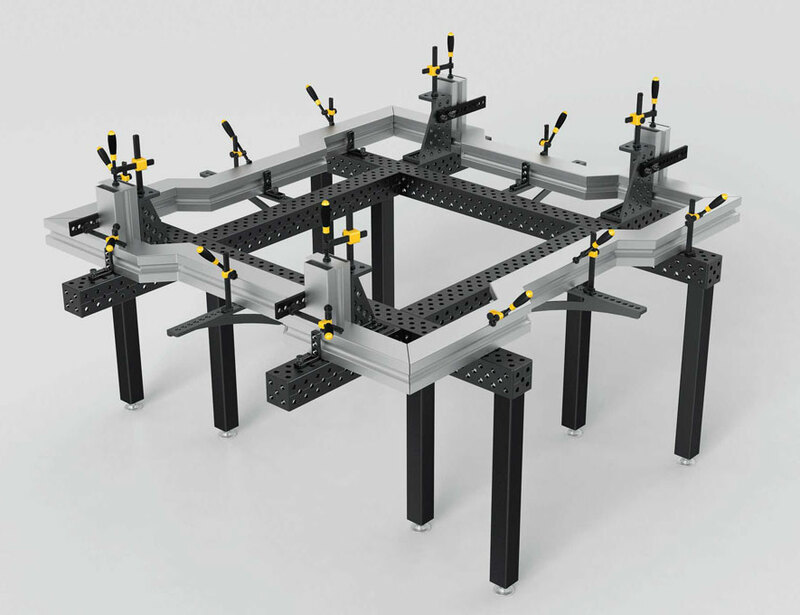 Riser blocks are used as table extensions and vertical setups, they are available in 100 x 100 mm and 200 x 100 mm profiles. Riser blocks are plasma nitride hardened. Riser blocks over 500 mm in length come with leg mounting holes; all lengths longer than 500 mm should be supported by additional legs when used in a cantilever position. SAFETY NOTE: Riser Blocks should only be joined to the table using connector bolts (Item S2-160560 or S2-2160550-1). Do not use fast clamping bolts or other available bolts to join.